By Marianna Karamanou et al. Abstract: Byzantine physicians recognized uterine cancer as a distinct disease and tried to suggest a therapeutic approach. 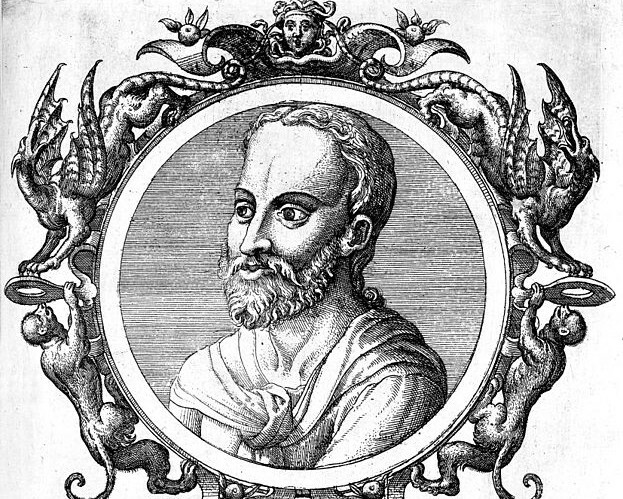 The work of Oribasius, Aetius of Amida, Paul of Aegina, Cleopatra Metrodora and Theophanes Nonnus reflects the Hippocratic-Galenic scientific ideas as well as their own concept on this malignancy. According to their writings uterine cancer was considered an incurable disease and its treatment was based mainly on palliative herbal drugs. Introduction: In 330 AD, Constantine the Great (272-337 AD) transferred the capital of the Roman Empire, from its historic base to Byzantium, an ancient Greek colony located on the European shore of the Bosphorus, and renamed it Constantinople after himself. It was a highly political and historical gesture as Constantinople was located in a geographical crossroad and the newly formed Byzantine Empire had one feature that distinguished it from the late Roman Empire, Christianity. Christianity was not only the religion of the state but it was also incorporated in the mode of thought and dominated in sciences and life. Ancient medical knowledge and Christian theology were connected in Byzantium as the person became their central objective and physical welfare equal to spiritual salvation. In that way the first hospitals were developed to provide medical care for the physically and mentally ill.
Byzantine physicians preserved the medical Greco-Roman heritage compiling and annotating medical texts, adding also their own innovations. Medical specialisations such as obstetrics, gynaecology and ophthalmology occupied an important place in Byzantine medicine. Physicians excelled in pharmacology and medical botany and added new elements to the concept of uroscopy, influencing medicine for centuries to come. Byzantine notions on uterine cancer were drawn from ancient Greek and Roman medical authorities. Uterine cancer was an incurable disease that arose from the imbalances of the four bodily humours and particularly the excess of the “black bile” and byzantine physicians pointed its palliative treatment.